We’re keeping you in Suspense! | The Life and Times of a "Renaissance Ronin"
We’re keeping you in Suspense! I’m currently so dehydrated that the Gobi Desert is a waterpark, in comparison. 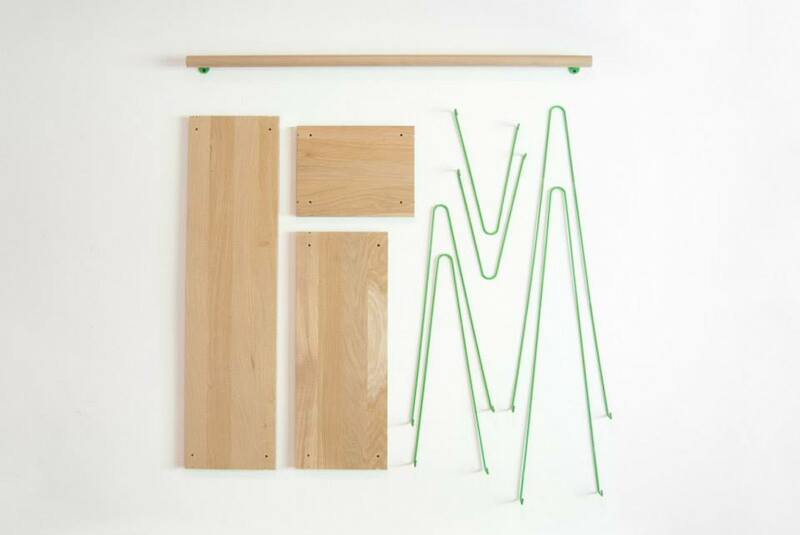 When building ISBU cabins, studios or even ISBU Tiny Houses, HOW do you install shelving? Folks, in most cases, we insulate our ISBU cabins on the exterior. That means that we don’t lose any internal square footage to firring our walls and then shooting SPF (Spray Foam Insulation) into the cavities. We’re NOT big fans of sheetrock in ISBU cabins. We prefer to cover our interiors with plywood, using fasteners and heavy duty construction adhesive. Using plywood accomplishes several tasks but the best one from a home-owners standpoint is that it allows you to put a shelf or a cabinet just about anywhere you want. 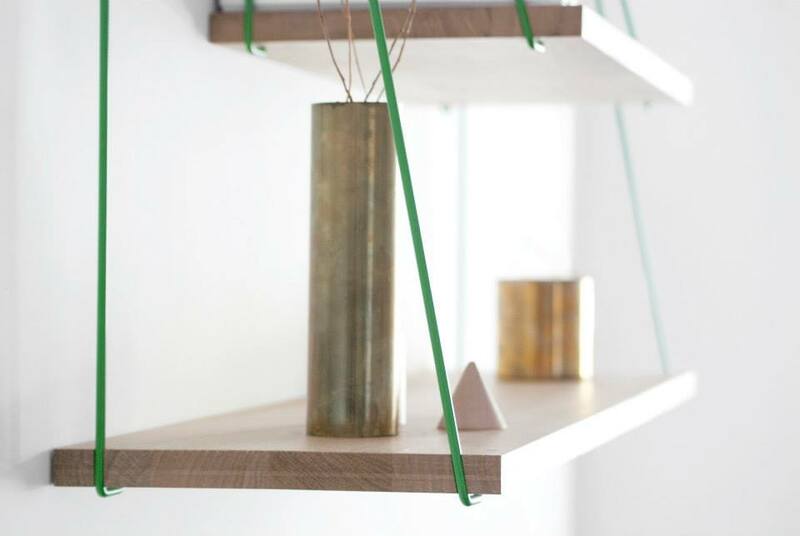 That means that you can install virtually any shelving system you want, by using that plywood as an attachment point, anywhere you need it to be. 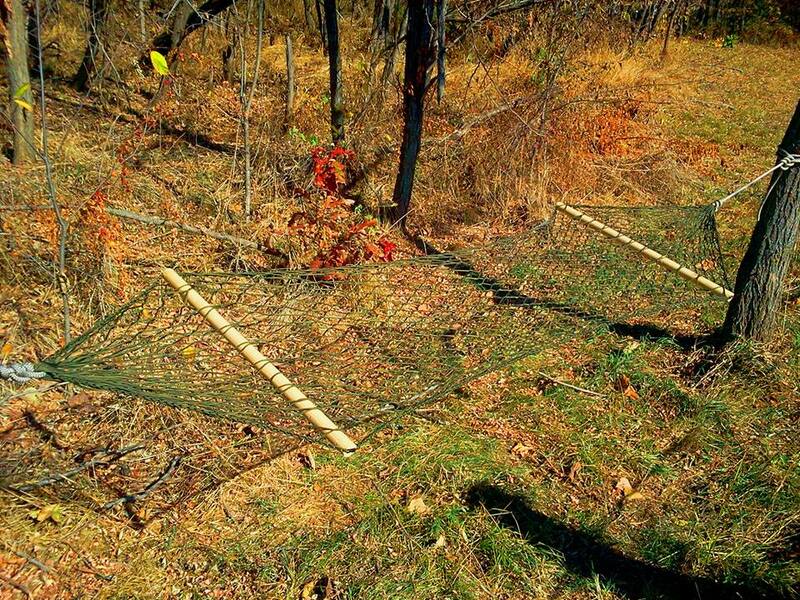 A lot of our families are building small cabins in the woods to use for holidays and vacations. This means that they are hauling everything in on roads that are usually dirt tracks or service roads. It can make hauling in materials challenging. The fact that you’re building in small spaces complicates things further. Nothing says “vacation discord” like poking your kid in the head with a piece of lumber while you’re trying to wrestle that shelving into place. 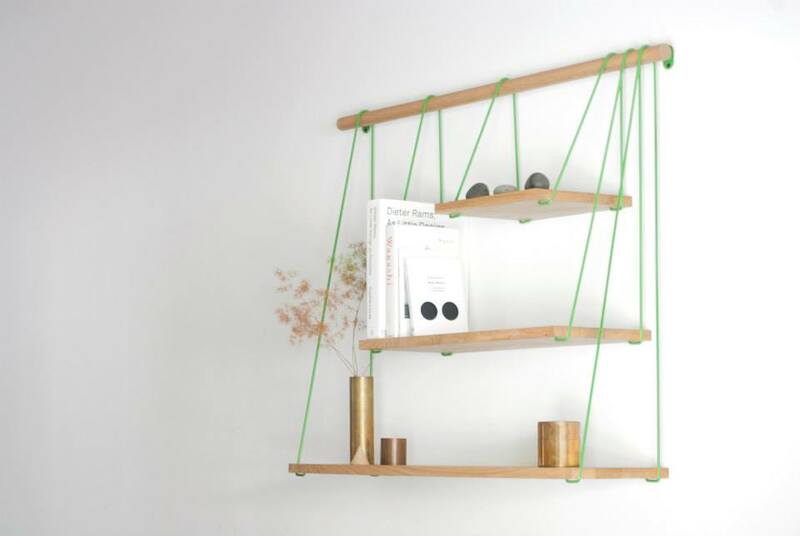 I recently saw a series of photographs of a really neat shelving system that has us thinking about how inexpensively a family could actually build shelving systems using materials you could buy at any “big box” store. And remember “our rules”… in OUR world, you have to be able to commit and execute home improvement projects without breaking the bank. Designed by “Outofstock” and produced by “Bolio” in Denmark. Here’s what you get in the manufacturer’s kit. Look familiar? What if that “baton” they talk about was just a simple closet rod and some brackets? Okay, let’s think about this for a minute. What if you were to use PARACORD instead of those bent wire hangers? “550” Paracord isn’t just for Boy/Girl Scout projects and bracelets or lanyards anymore. 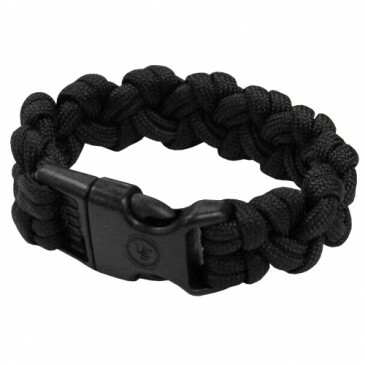 Military grade “550” paracord is tremendously strong (rated to a “breaking strength” of 550 pounds – hence the designation). It’s also available virtually everywhere and it is easily capable of supporting the weight of your items placed on a shelf of this type (unless you try to suspend grandma from it or use it as an indoor swing set – LOL!). And, “550” Paracord isn’t boring. Not only do you get your choice of colors (paracord comes in just about any pattern and color you can imagine) it’s quite easy to work with and you can use basic tools (plus a butane lighter to burn/seal the ends) to construct this shelving system. What you want is MIL-SPEC MIL-C-5040 Type III Paracord and you can find it in spools at mst Army/Navy Surplus stores, camping supply companies and on Amazon. Make SURE that you’re getting MIL-SPEC cordage, people. There’s a lot of fakes and knock-offs out there and you’re going to be using this cord to hang your valuables up out of the reach of your kids, critters and even crisis. This “American Made” SPOOL TOOL holds your paracord, cuts it for you, holds the butane lighter that will seal it and fits easily in most tool boxes or pack pouches. This handy tool is everything BUT “bulletproof”. It’s well made, extremely durable, well thought out and it’s become a part of our “day to day” since they arrived. We actually have this tool in our trucks, our workbenches, and in our backpacks and “emergency kits”. It’s inexpensive and indispensable. If you don’t have one… you’re really missing out. I’m serious. When you go get your Spool Tool, tell Gino that Ronin sent you. I want Gino to KNOW that we’re supporting his efforts to put great tools in the hands of families globally. 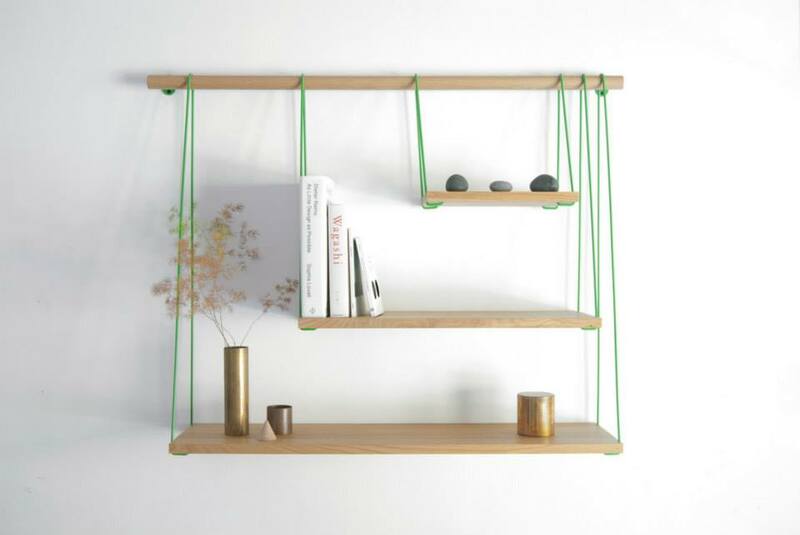 This suspended shelf system doesn’t require an expensive set of plans. It requires a closet rod, brackets to attach it to the wall, some 550 paracord, a pair of 1x8s roughly the same length as the closet rod, a drill and a few hand tools that you probably already have. I’m going to build an example of this shelving system for some of my favorite DVDs and collectibles, just to give you guys an idea of just how easy this is. Watch for it. Have you noticed how many times I’ve used the word “easy”? 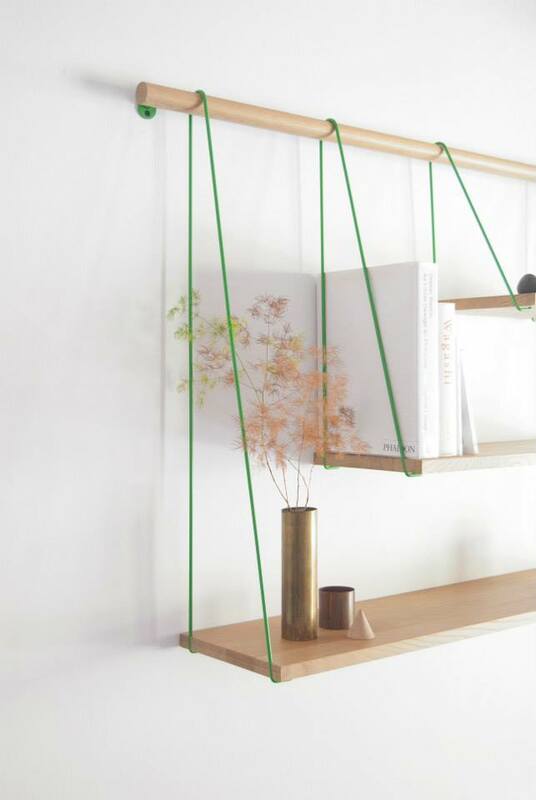 Folks, you can see just how EASY this shelf system can be constructed. It’s attractive, strong, easily customized to fix any decor and easy enough to build that a child could assist you in building it as a “family project”. Best of all, you can build it in about a half hour. Seriously. ← You’re making me SICK. that’s a great idea which I like a lot. Using para cord makes the whole thing strong and helps to reduce costs. The spool tool assist to get the job done quickly.. It would be great to earn more about your insulation method for the ISBU you are using. Are you still within the street legal width without a special permit or is it for on site only?